What are the O Antiphons? They are the seven antiphons of Advent from the Liturgy of the Hours used by the Catholic faithful for the Magnificat canticle at Vespers (evening prayers) for the seven days from December 17 to December 23 leading up to Christmas eve. They are also used as the Gospel acclamation verses on these days within the mass. They are also known as “The Greater Antiphons.” In many places, an additional candle is lit each night on a special seven-branch candle stand. These antiphons were considered so important in medieval monasteries, that they were assigned to be intoned by the dignitaries of the monastery. The first antiphon was to be intoned by the abbot, the next day, the second was intoned by the Prior and so on down the line. Since the Vatican II reform of the Catholic liturgy, these texts are used as the Alleluia verse before the Gospel at Mass beginning on December 17. The very popular hymn “O come, o come Emmanuel” makes use of these texts for its verses, and is sung in nearly every Catholic church during Advent. Roman Catholics should be very familiar with this hymn, but may not know it's connection to the divine office. English: O Wisdom, coming forth from the mouth of the Most High, reaching from one end to the other, mightily and sweetly ordering all things: Come and teach us the way of prudence. Latin: O Sapientia, quae ex ore Altissimi prodiisti, attingens a fine usque ad finem, fortiter suaviterque disponens omnia: veni ad docendum nos viam prudentiae. English: O Adonai, and leader of the House of Israel, who appeared to Moses in the fire of the burning bush and gave him the law on Sinai: Come and redeem us with an outstretched arm. Latin: O Adonai, et Dux domus Israel, qui Moysi in igne flammae rubi apparuisti, et ei in Sina legem dedisti: veni ad redimendum nos in brachio extento. English: O Root of Jesse, standing as a sign among the peoples; before you kings will shut their mouths, to you the nations will make their prayer: Come and deliver us, and delay no longer. Latin: O Radix Jesse, qui stas in signum populorum, super quem continebunt reges os suum, quem Gentes deprecabuntur: veni ad liberandum nos, jam noli tardare. English: O Key of David and sceptre of the House of Israel; you open and no one can shut; you shut and no one can open: Come and lead the prisoners from the prison house, those who dwell in darkness and the shadow of death. Latin: O Clavis David, et sceptrum domus Israel; qui aperis, et nemo claudit; claudis, et nemo aperit: veni, et educ vinctum de domo carceris, sedentem in tenebris, et umbra mortis. English: O Morning Star, splendour of light eternal and sun of righteousness: Come and enlighten those who dwell in darkness and the shadow of death. Latin: O Oriens, splendor lucis aeternae, et sol justitiae: veni, et illumina sedentes in tenebris, et umbra mortis. English: O King of the nations, and their desire, the cornerstone making both one: Come and save the human race, which you fashioned from clay. Latin: O Rex Gentium, et desideratus earum, lapisque angularis, qui facis utraque unum: veni, et salva hominem, quem de limo formasti. English: O Emmanuel, our king and our lawgiver, the hope of the nations and their Saviour: Come and save us, O Lord our God. Latin: O Emmanuel, Rex et legifer noster, exspectatio Gentium, et Salvator earum: veni ad salvandum nos, Domine, Deus noster. The structure of these texts starts with an invocation to the Messiah with a title inspired by the Old Testament; then the title is expanded and developed; finally, the text concludes with an appeal for the Messiah to come and act on our behalf according to the title given to him at the beginning of the antiphon. The first letter of these titles when read backwards (EROCRAS), spells the Latin words “ero cras” = “tomorrow I shall be here.” It seems that Mozart shared the same fondness for such word games as running things backwards! The texts of the antiphons are a mosaic of scripture readings and biblical references that compress and express the Old Testament hope for the promised Messiah Isaiah had prophesied. 1. O Sapientia is drawn from Sirach, Chapter 24 and the Book of Wisdom, Chapters 6 to 9. 2. O Adonai from Exodus, Chapters 3, 15 and 24 and from Deuteronomy, Chapter 5. 3. O Radix Jesse from Isaiah, Chapter 11. 4. O Clavis David from Isaiah, Chapter 22, with a nod to the Book of Revelation, Chapter 3, verse 7 [“… who opens and no one closes; who closes and no one opens”]. 5. O Oriens from Zechariah, Chapters 3:8 and 6:12, from Isaiah, Chapters 9:2 and 60:1-3, from the Book of Wisdom, Chapter 7:26, as well as from Luke 1:78 and Hebrews 1:3. 6. O Rex gentium from Jeremiah, Chapter 10:7, from Haggai 2:8, Isaiah 28:16, Genesis 2:7 and Ephesians 2:14. 7. O Emmanuel comes from the famous prophecy to Ahaz (Isaiah 7:14) as well as from Isaiah 33:22; Genesis 49:10; Zechariah 9:9 and John 20:28. I suggest as an Advent preparation for Christmas by your family, in addition to any other traditions such as advent wreaths, to read each of these scripture passages, pray over them and then listen to the proper O antiphon in both Latin and then in English. Then finish each prayer session with the playing and then the singing of the hymn O come, O come Emmanuel (veni veni emmanuel). The antiphons, from the Roman Breviary, in both Latin and English and the hymn O Come, O come Emmanuel, can be heard on The Saint Meinrad Advent/Christmas Chants CD. The collection of Advent and Christmas Entrance and Communion antiphons for the new Roman Missal would be good listening and singing preparation during the entire Advent and Christmas season. Entrance and communion antiphons are also available for Ordinary time. 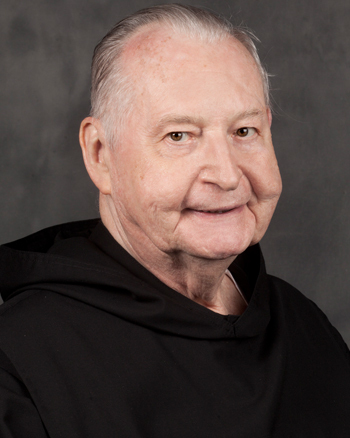 Director of the Gregorian Schola at St. Meinrad Archabbey, Father Kelly is one of the foremost experts on Gregorian chant in the United States.